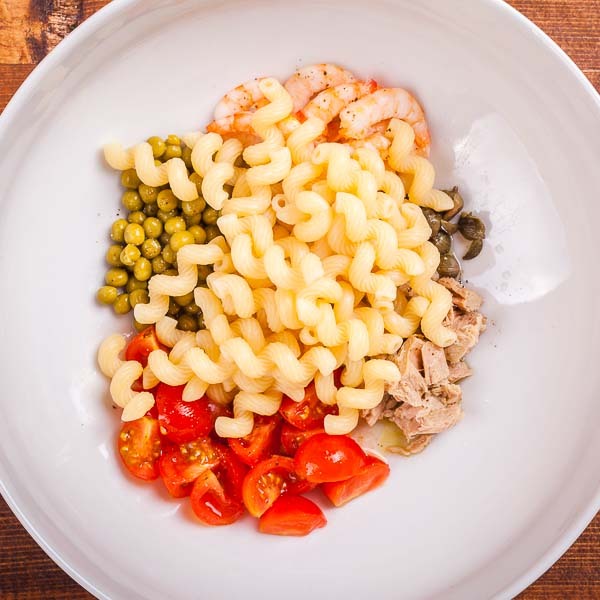 Are you ready for a cold pasta salad the more appetizing you've ever tasted? If yes, you have the right spirit to discover this recipe. 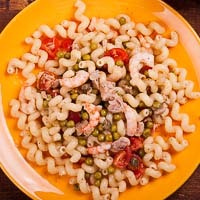 This pasta salad will catapult you into a "sea" of tastes and smells of summer. 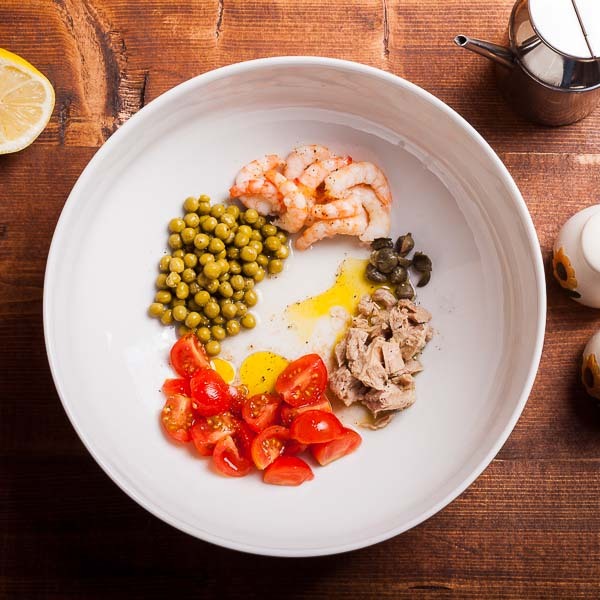 Suffice to read all the list of ingredients: shrimps and tuna (not bad, eh?). Continuing with tomatoes, peas, capers, lemon juice and extra-virgin olive oil. So, what do you think? Your mouth is watering isn't it? 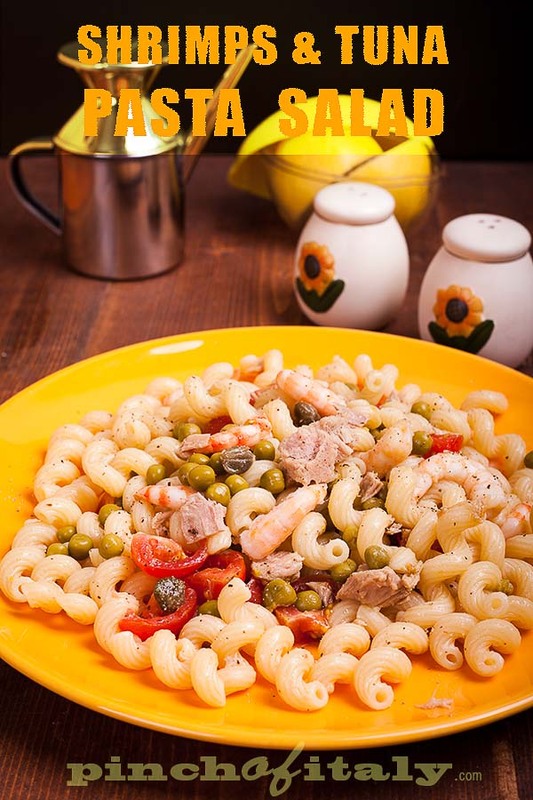 I have chosen a pasta specialty called “cellentani” (I don’t do this often), but other short pasta go equally well. 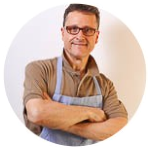 You might like short rigatoni, trofie or typical penne which are prefect. Now you have all the freedom to tweak with mayonnaise if you like. But, if I was you I wouldn’t make it too heavy and overwhelm the delicate taste. Instead of pasta salads, mayonnaise is better for potato salads. Well the photos here are self-explanatory, there's little to say because easy to make. 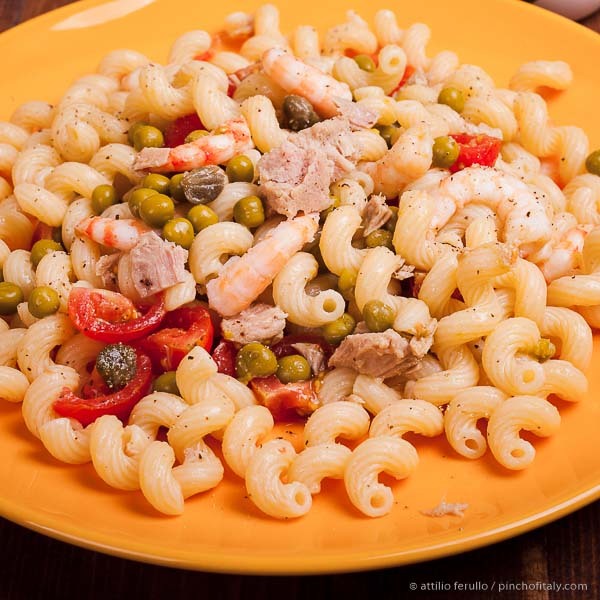 In a pasta bowl put all the ingredients; peas, shrimps, capers, tuna, washed and sliced cherry tomatoes. Season with extra-virgin olive oil, lemon juice, salt and pepper to taste. 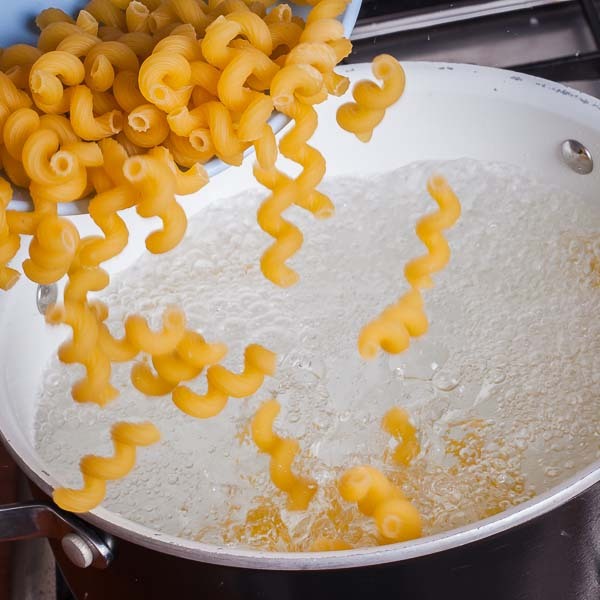 Once the pasta is cooked rinse under running water to remove the starch. 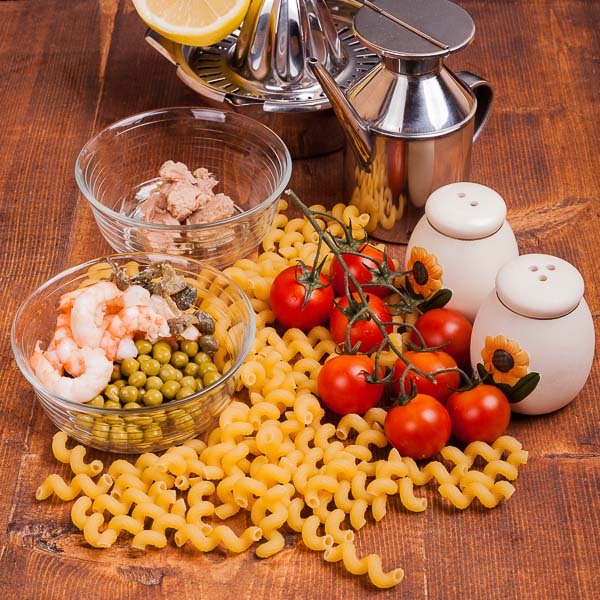 Pour the pasta in the bowl with all the ingredients and mix well. You can add more olive oil, lemon juice, salt and pepper to meet your taste. Fridge for at least an hour before serving if you like it cold or serve immediately. 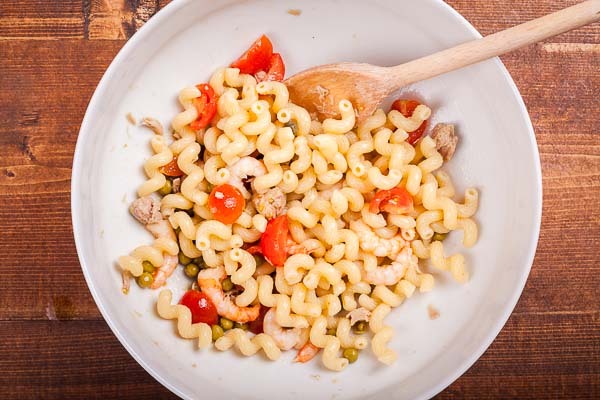 You can store this pasta salad in the fridge for a few days if necessary.